This article provides our impressions on the Playstation 4 version of Assassin’s Creed Chronicles: India. Review code was supplied by Ubisoft. Long ago, Jordan Mechner put the finishing touches to one of the greatest platformers of all time. It’s a game that has proven immensely inspirational to many past and present franchises, not least of which, the Assassin’s Creed series. 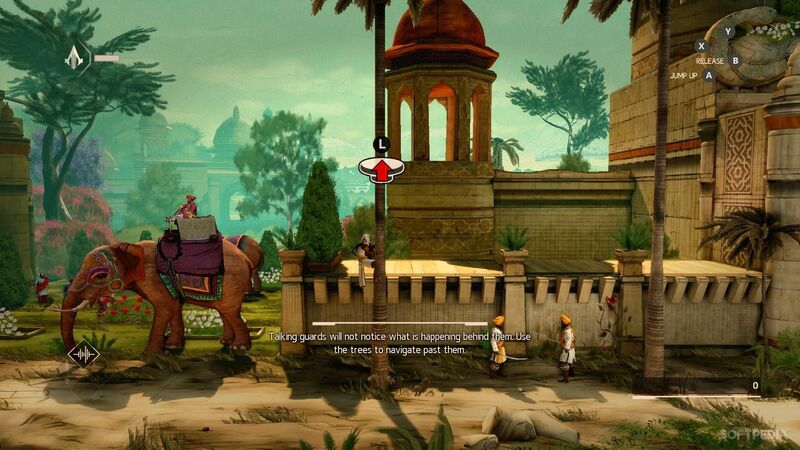 When playing the Chronicles games – particularly this latest installment in India – flashes of Prince of Persia are clear for all to see, though it also does a good job of standing on its own two legs. The problem, unfortunately, is that it also seems to struggle underneath the weight of historical significance and expectation. 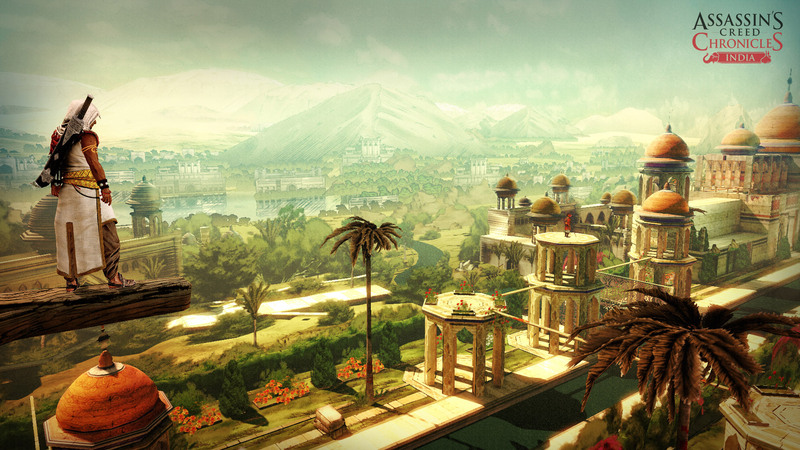 Assassin’s Creed Chronicles: India is a beautiful looking game. The environments are varied. The color palette is rich. The animations are lively. But the level designers seem to have an odd sense of proportion. Some of the pillars seem unusually thin and tall compared to the character models, and other buildings appear higher and lower than they should be. The handling also starts to grate. For a simple platformer, there’s a surprising amount for the player to remember, and this occasionally presents some difficulties with the button-mapping. For instance, it’s easy to slip on a button-press when moving between areas, resulting in getting caught and sliced to pieces. Which brings me to my biggest problem with the game – combat. I didn’t find myself struggling massively with China a few months back, but for some reason, fighting feels completely untuned in India. Button response time is slow which can present some major difficulties. Countering also seems completely off. I feel like I’m tapping at the appropriate time, yet still getting hit. I also don’t feel like I can get decent sword strokes in without really having to struggle with the buttons, not helped by the fact that the weapons seem to lack any sort of the desired impact. This would be all well and good if we were talking about Prince of Persia, but Assassin’s Creed is kind of renowned for stabby-stabbing stuff. Perhaps this is more of a peaceful Assassin’s Creed? Not peaceful, but a bit lighter in tone perhaps. 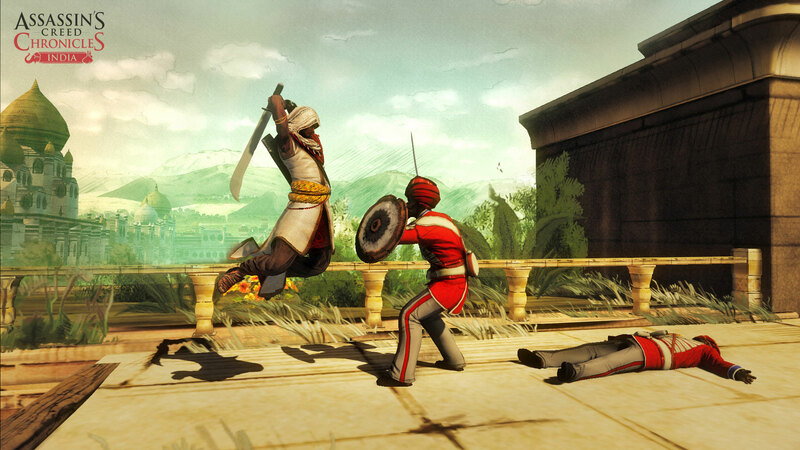 The game is set in 1841 and follows Arbaaz Mir, a young man in the middle of a war between the Sikh Empire and the East India Company. Arbaaz is trying to find a famous diamond – which also happens to be a Piece of Eden – that belonged to an Assassin Brotherhood. Your aim is to protect the ones you love and care for from the dangers that are tied to the ancient artefact while also bringing it back to your mentor. Arbaaz treats his missions with a modicum of respect, but also looks down his nose at his enemies, often disregarding their abilities. You see his playful nature come into effect when he meets his beau, Pyara Kaur, as the two exchange some playful banter which soon turns into frivolous foreplay. Arbaaz has little regard for authority and enjoys a rebellious streak, which makes him perhaps a bit more a cheeky chappy than previous Assassins who’ve either been known to be quite straight-laced or a little bit of a romanticist. Of course, he still has all the familiar traits. Arbaaz can dive into bushes to avoid being seen, climb trees and jump between them. Use a grappling hook to scale the ceilings and even crouch behind cover. It’s vintage stuff in the Creed games, but all done against a 2.5D setting and made to work quite wonderfully. The addition of side-missions in the game is also a nice way to keep players coming back to try and improve their score when getting a little fatigued with the general objectives. I find it incredibly odd that this was billed as a trilogy from the beginning, yet nothing has really been done to try and link the games in terms of giving players additional rewards for playing one or the other. It would be nice to see some extra weapons or power-ups if you have an existing save game on your system or some other way to link them together. Russia, the concluding part of the trilogy just launched as well. Which feels like a very rushed affair as India barely had a chance to find its feet on the marketplace. Ubisoft should have tried to pace the releases out a bit better. What we do know is that the trilogy will be coming to Vita in April which is, arguably, the best thing for the series. These definitely feel like they’d benefit on handhelds more than on home platforms. We also know that there won’t be a main Assassin’s Creed release this year, with the follow-up to Syndicate coming in 2017. So, aside from this and the mobile release of Identity later this month, we know the Assassin’s Creed series isn’t going anywhere and is still enjoying a healthy release schedule. That said, it is being a tad more reserved than is standard practice for Ubisoft. Creed mechanics work surprisingly well in 2.5D format. Assassin’s Creed Chronicles is a neat idea and worked really well with China. Unfortunately, India is a bit of a step backwards and while it introduces some neat ideas to add longevity, it’s not a game that you’ll feel encouraged to play for a lengthy period of time.